You are going to Watch One Piece Episode 394 English dubbed online free episodes with HQ / high quality. Stream Anime One Piece Episode 394 Online English dub Rescue Camie! The Archipelago’s Lingering Dark History. 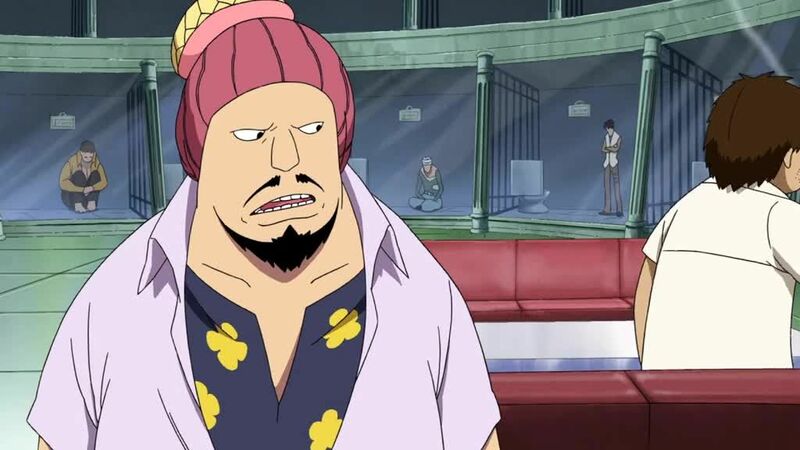 Duval and his crew arrive on the archipelago and start gathering the Straw Hats up to bring them to the Human Auction House, where the kidnappers have brought Camie. Robin tells Nami why the Fishmen and Merfolk are not welcome on the island as in the past they had been discriminated against and classified as just fish. At the auction house itself Saint Rosward and Saint Sharulia arrive complaining that Saint Charloss is late. Trafalgar Law, Eustass Kid, and their crews are already present. Backstage are Camie and the other human merchandise, including the coating mechanic, Silvers Rayleigh, former first mate of Gold Roger himself.